Unfortunately the guys and I do not have our own facility for long range precision rifle shooting. 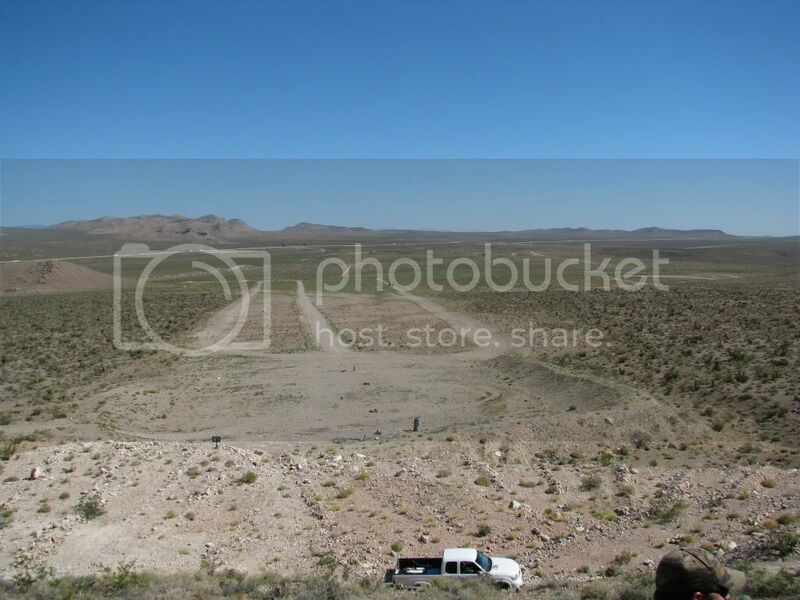 We do the majority of our shooting on BLM land surrounding the Las Vegas valley. We do compete at Desert Sportsman (members only range) and even head to the Clark County Shooting park from time to time to zero our rifles. We have found shooting in small groups in the desert works well for us. I wanted to share with you a common spot for long range rifle shooting. 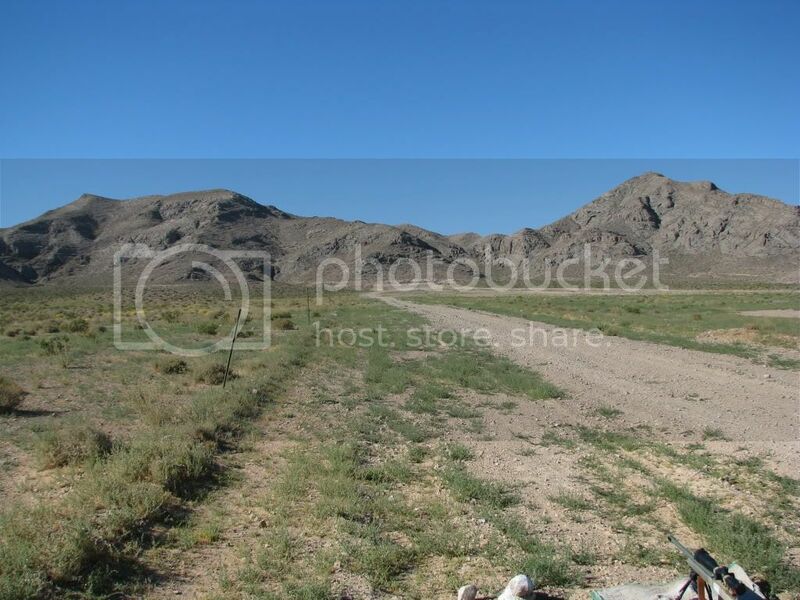 We call it Spot #1, it is located on the south end of the valley near Jean, NV. Here are directions coming from Las Vegas. -Take the road all the way to mile marker 7, in between mile marker 7 and 6 is the pull off. -The dirt road will take you under the rail road tracks and over a cattle guard. -The shooting spot is 1/8th mile down the road and on the right, cant miss it. Wow that was a spooky video! That bike just came out of know where. I could with the flight time of a bullet at distance already on its way when someone like that rider just "pops out". Good safety point. The wind was blowing so we didn't hear him over our hearing protection. The shooter was in the zone on the scope and I was on a spotter. He just popped into our field of view! They always roll right up to the targets too! Now we always have one guys looking around for off roaders. Wow, now that is scary. We hve the same problems out where I shoot in the Owyhee desert. There are hikers, ATV riders, and horseback riders that we have to watch for. We have one guy that is just looking for atv's, hikers and horses all the time. the horseback riders are the ones I worry about the most. We try to shoot at areas that have no roads or are away from foot traffic but the horseback rides can be anywhere out there. That video just proves my worst fear of what we try to look out for. A great reminder to all of us that we are not the only ones out there.